Proper lubrication is integral to equipment maintenance. Every day, industries all over the world use lubricants to keep their machinery (and businesses) running smoothly. By reducing friction, things like bearing systems and rolling elements are kept in tiptop shape. In this post, we discuss what improper lubrication can lead to. Contamination – this happens when dust and dirt stick to lubricant solutions. When foreign particles build up inside bearings, they can damage and wear down a machine’s parts. Leakages – this often occurs when the wrong kinds of lubricants are mixed together. This is especially true when synthetic and mineral-based lubricants are mixed. They increase the chances of seal shrinkage, resulting in failure. Component failures – improper lubrication is on top of the list when it comes to component failures. To prevent friction of metal-to-metal contact and extend service life of machinery, proper lubrication is key. Added maintenance cost – one of the more obvious effects of improper lubrication; failures from improper lubrication mean added costs on repairs. Lack of proper procedures – manual lubrication is only as good as the people who perform it. Without the right technician for the job or the proper procedure, improper lubrication may occur. Over-greasing – this is a common mistake that leads to higher operating temperatures and aggressive contamination. Poor labelling system – a simple practice that can make or break lubrication programs. Labelling decreases the risk of cross-contamination and resolves confusions regarding which lubricants to use. Under-lubrication – inadequate amounts of lubricant or long lubrication intervals can be highly damaging to your machinery. Under-lubrication is usually easy to detect, but in a noisy facility it can go unnoticed. Wrong lubricant – using the wrong lubricant can cause component failures and it also voids an equipment’s warranty. Mixing the wrong lubricants – this leads to component failures, increasing spending as parts have to be replaced. 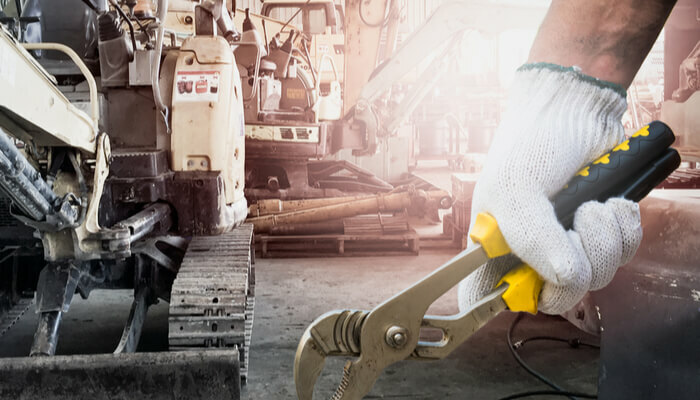 Improper handling and storage – maintenance personnel need training when it comes to the correct ways of handling and installing bearings and using lubricants. Even the most minute particles can enter a small dent and cause contamination. Lubrication is one of the best ways to prevent corrosion and wear. It also dissipates heat, gets rid of contamination and decreases noise in bearings. When machinery and equipment are properly and regularly lubricated, they have the highest chance of maximum service life. In addition, proper lubrication results in fewer shutdowns in operations and production losses are minimised. It also promotes greater worker safety and can potentially decrease environmental impact. In the long run, companies can save on repair and spare costs.